This week we’re showcasing a variety of swoon-worthy sleeves. A sleeve provides an extra option to wow your guests while keeping all of your cards safe and organized within the outer envelope. 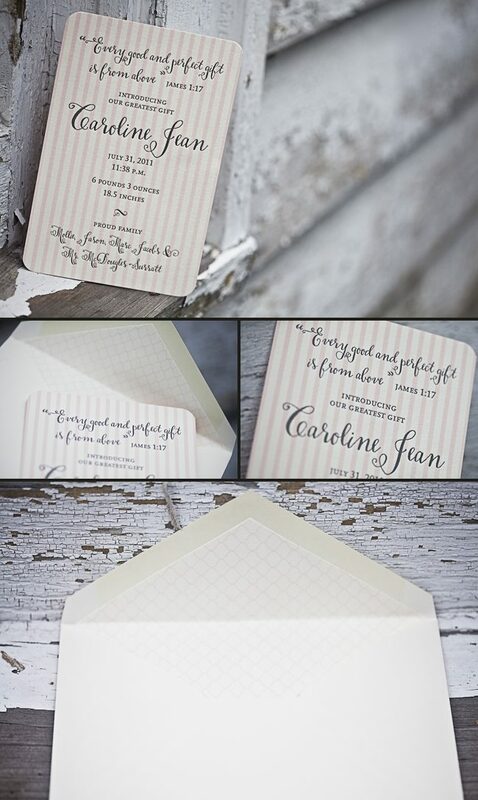 Creative Parties knows how to create a stunning wedding invitation suite. 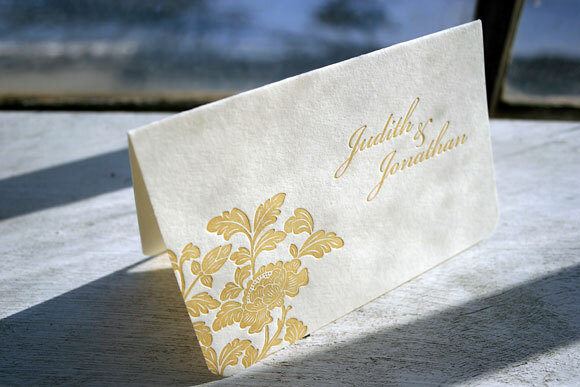 Each card features our luxurious gold matte foil stamping, custom Chesapeake die cut shape and pretty pearl edge painting. 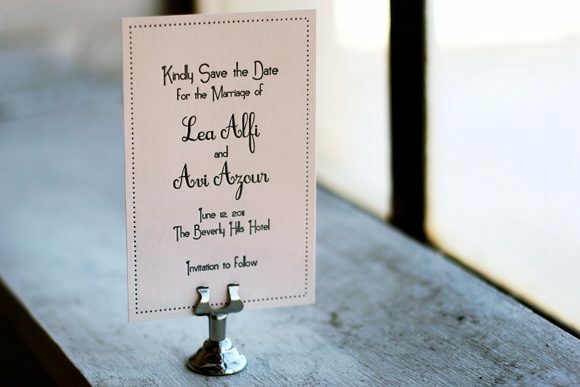 The design is carried onto the sleeve along with highlighting the bride and groom’s names. 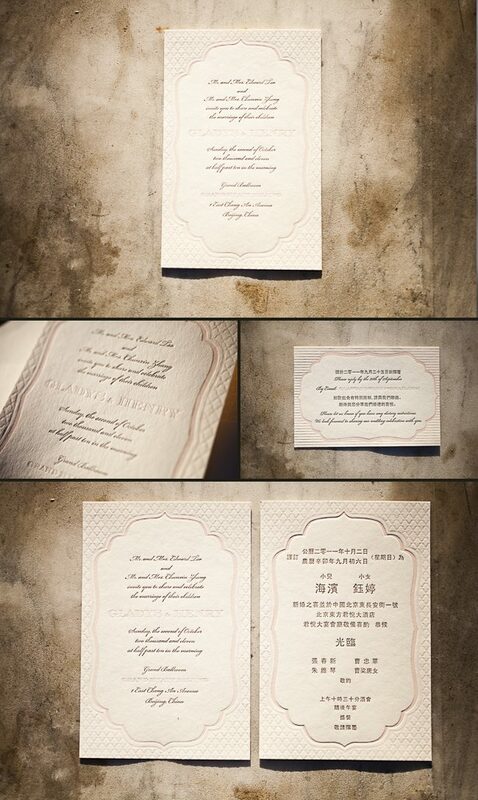 Letterpress in Beijing – The Big Day! Seeing an order become a design is great. 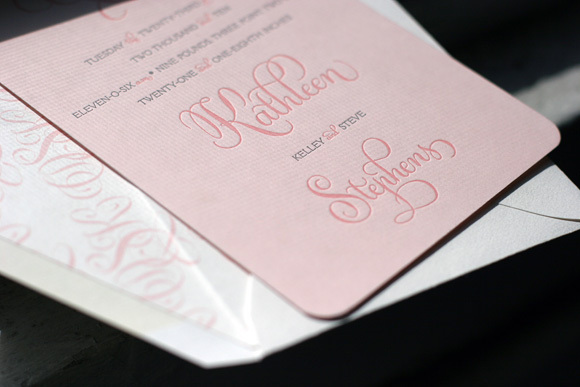 Seeing a design become a letterpress printed invitation is better. 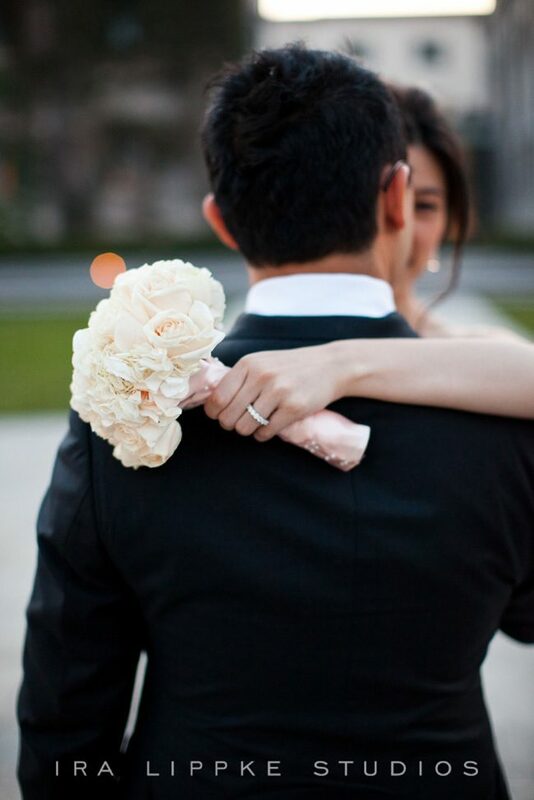 But when we get to see photos of our invitations in the hands of the happy couple and shots of their important day…well that just reminds us how much the hard work can pay off. Thanks so much to Michele at the Wedding Company in Hong Kong and well done to Adam Sjöberg for Ira Lippke Studios for the amazing camera work! 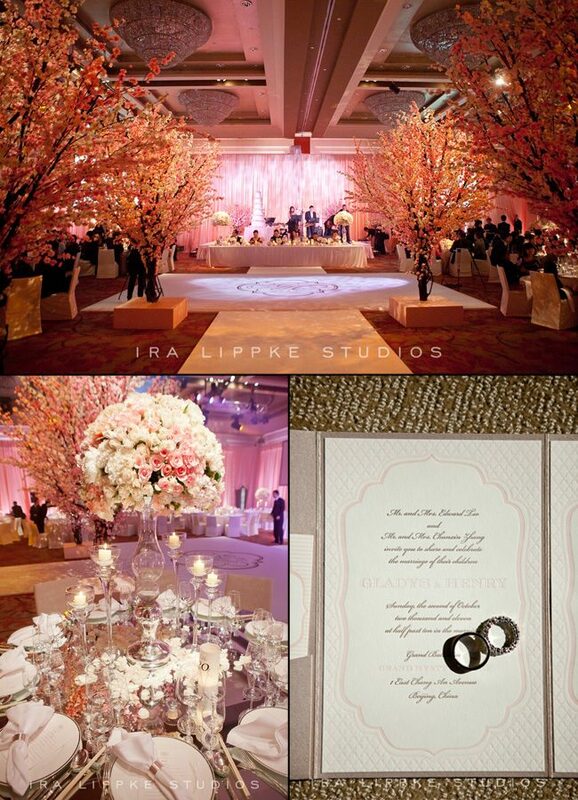 The reception looked gorgeous and we are very honored to have played some small role in making that day special. 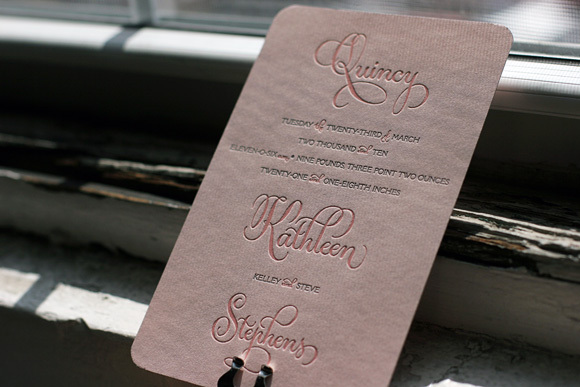 Read our previous post about the letterpress wedding invitations. Sent to us by our friends at Bridals by Lori in Atlanta, Georgia these precious Dorset letterpress baby announcements will surely tug at your heart strings! 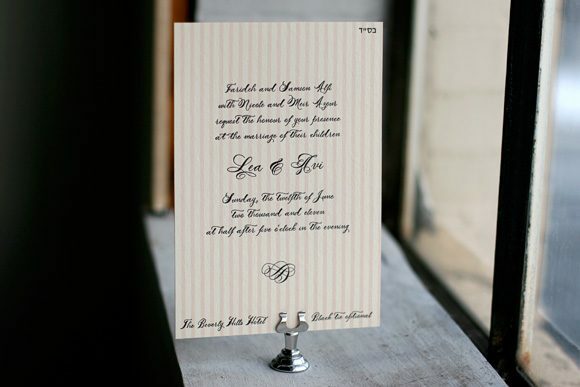 These adorable baby announcements are printed in pearl and pewter inks with corner rounding to make for the most gracious curves and a completely finished look. We love to see the unique customizations proud parents dream up to celebrate their new bundle of joy! 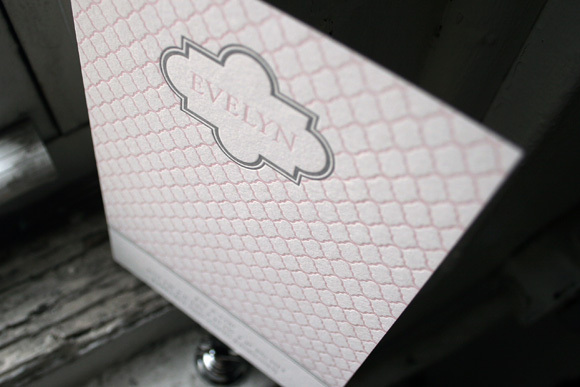 Paired with our champlain envelope liner in pearl we love this added feminine touch! We think you’ll agree that these baby announcements are absolutely precious. This is the first order sent to us from The Wedding Company in Hong Kong and we already can’t wait to see what’s coming next! Michele uses a combination of whisper and pearl inks to give a wonderful 2-color accent to the invitation text of this Dawson-inspired design. 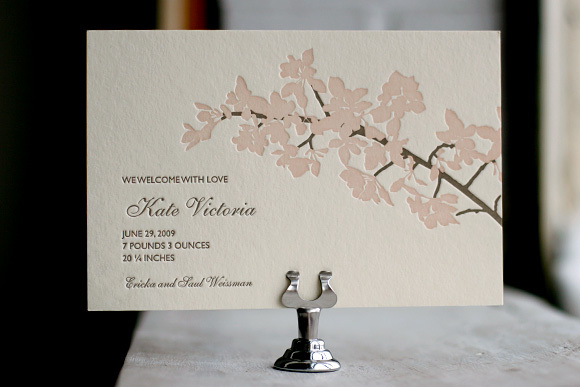 The border chosen frames the English invitation as well as the Mandarin one in such a beautiful way. We are very happy to showcase our newest friends, particularly when this is the quality of the invitations they come up with. Well done Wedding Company! 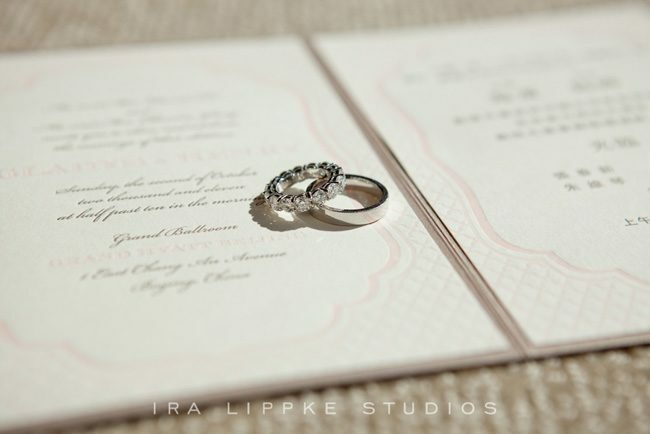 Brought to us by our lovely friend Debbie at RSVP Today, we just adore these pretty save the dates and letterpress invitations. Showcasing our Sabion design, the letterpress save the dates were printed in midnight ink on our pearl colored bamboo paper. 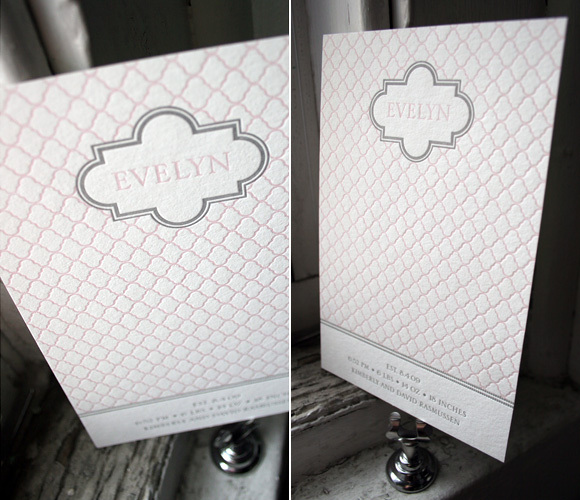 To complement the save the dates, the letterpress invitations feature our Dorset design printed in pearl and black. 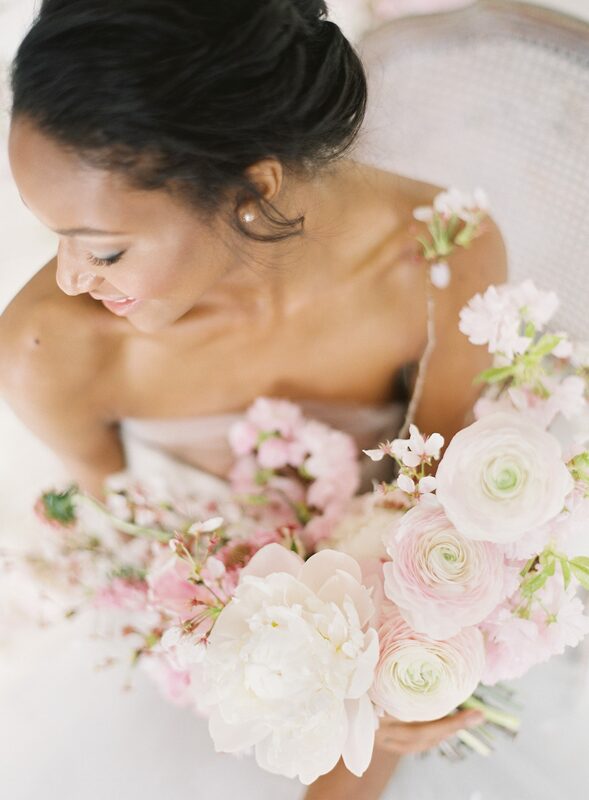 Together the look is elegant and chic. A big thank you to Debbie for bringing us these fabulous customizations! 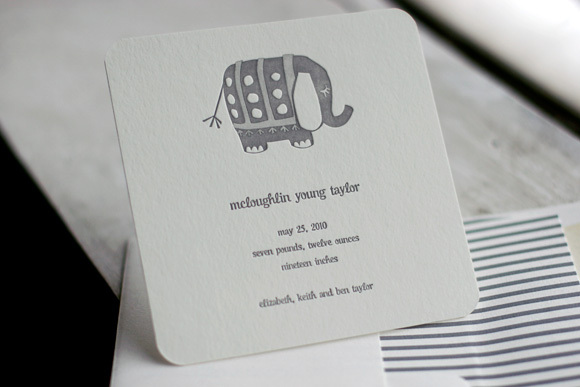 Brought to us by Inscriptions on the Boulevard in Fort Worth, Texas, this custom baby announcement features our Ellie motif printed on our seamist bamboo paper in pewter and silver inks. 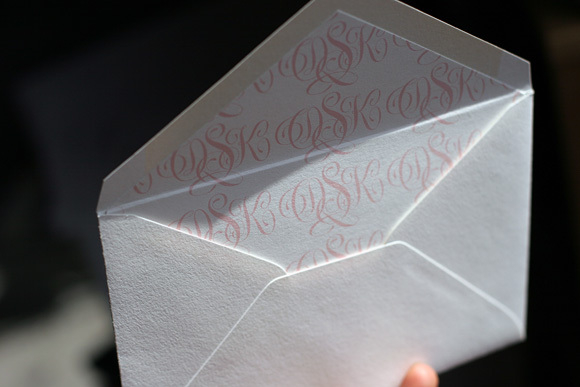 The envelope is lined in our Seneca pattern in pewter. The Write Image in Salt Lake City sent us this pretty customization of our Kurai design, printed in taupe and shell inks for a soft and feminine letterpress baby announcement. 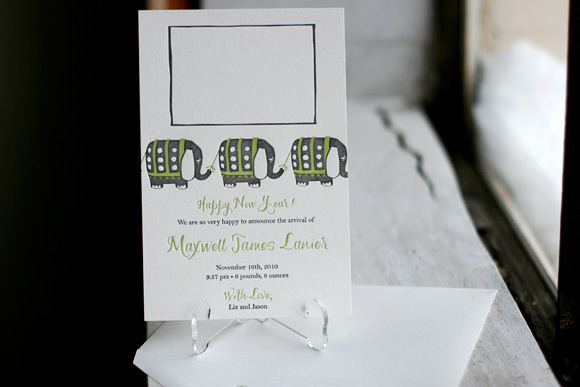 This baby announcement is a custom design that also serves as a cool letterpress holiday card, printed in pewter and spring green inks. This fun design came to us from Byrd + Bleeker in Fort Worth, Texas. 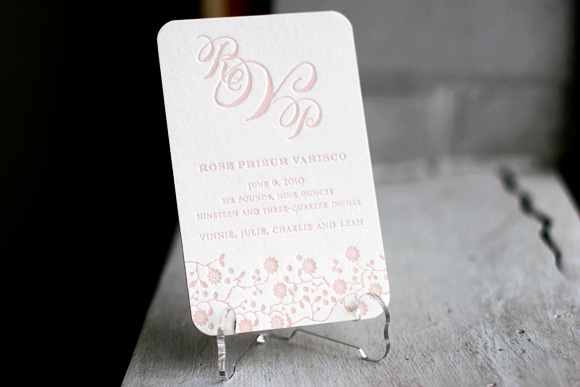 From Stationer of New Orleans, this girly baby announcement showcases our Juine design in pearl ink. 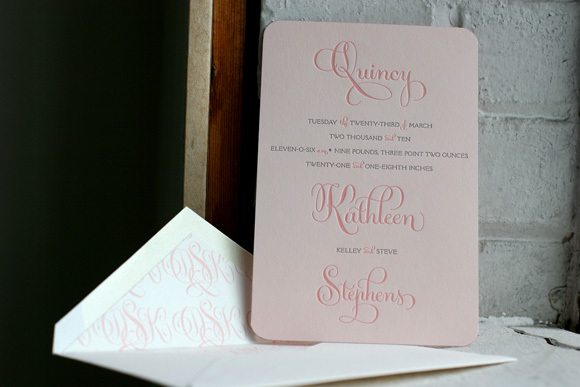 These pretty letterpress baby announcements were printed in dove and blush inks on our pearl paper with silver edge painting and corner rounding to ensure no detail was left forgotten. 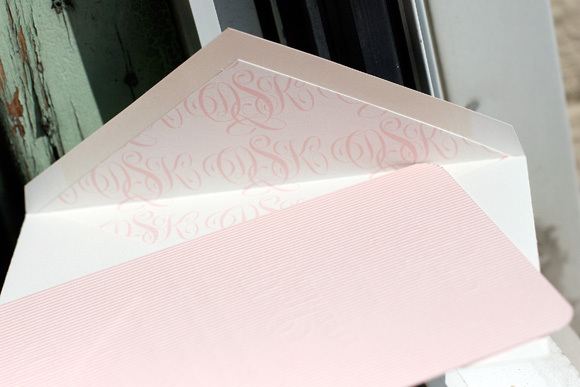 They feature pattern backing in our sherbrooke pattern in blush and the envelope liner features a custom monogram in blush. They are feminine, girly and perfect for welcoming a new baby girl. Congratulations to Kelley and Steve on welcoming the new addition to their family and on being a winner in our Smock Design Contest! After showing off the honorable mentions in our recent Smock Design Contest, we’re down to the final three winners! First up is our 2nd runner up, this beautiful custom letterpress baby announcement from our friends at The Write Image in Salt Lake City. It’s printed in a soft color palette of silver and pearl inks and features our champlain pattern and one of the cartouches available in our Social Occasions album. We love everything about this pretty birth announcement, so perfect for celebrating the arrival of a new baby girl, and so did our guest judge, Nole Garey of Oh So Beautiful Paper who says, “An absolutely perfect birth announcement. Simple and sweet, with both feminine and neutral design details perfect for a baby girl.” Thanks so much to the folks at The Write Image for bringing us this beautiful design! We can’t think of anything that shows gratitude and appreciation more than a beautiful hand written note on a lovely letterpress thank you card printed on soft bamboo paper. We’ve printed a few lately that have left us dreaming of mailboxes full of sweet sentiments on pretty letterpress cards and could not resist sharing them. Brought to us by Perfectly Personal by Jen in Chappaqua, New York, this Rhon thank you note is printed in saffron ink on ivory. This card is sunny and bright and sure to bring smiles to the faces of loved ones. 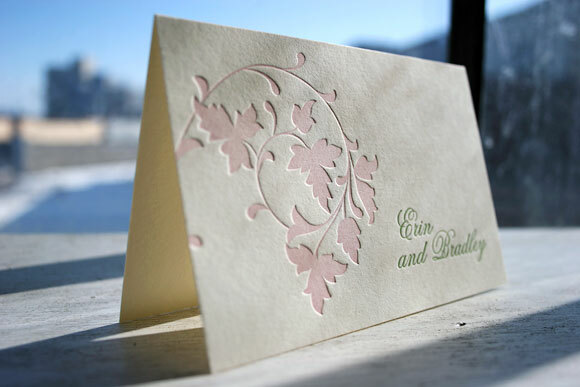 Printed in pearl and clover, these pretty thank you cards are our Chasseral design. Created by Paper Dolls of Saratoga in Saratoga Springs, New York, these note cards are the perfect way to thank loved ones for sharing in your celebration. 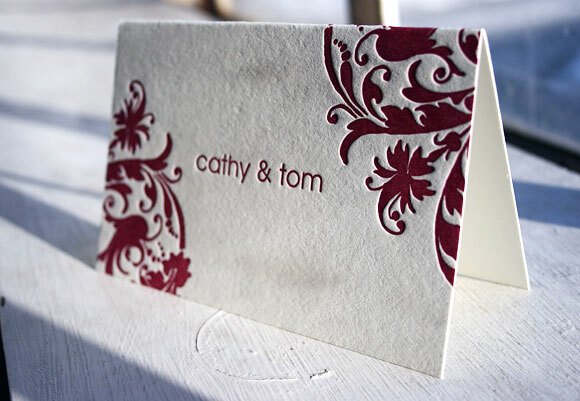 Using our Cavall design in 1-color letterpress, printed in raspberry ink, these letterpress thank you cards were brought to us by No Regrets in Newton Centre, Massachusetts. Sitting down to write thank you notes can only be considered delightful with cards as lovely as these.